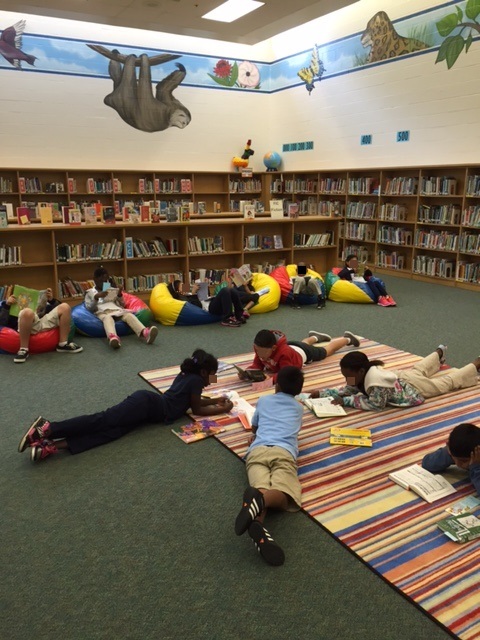 Sanders Elementary School Library Media Center | Welcome! We are open every school day from 7:15 AM to 2:00 PM. Please click to see the Sanders Media Center Student policies. Parents or guardians are welcome to check out five books for every child enrolled in the school. Materials may be checked out for two weeks and renewed if needed. Please remember that lost or damaged books must be paid for in full before additional items may be checked out. Visit the Library Media Center for a list of usernames and passwords to access all of our awesome online resources! Parents also have access to download Microsoft Office 365 on their personal computers and devices for FREE.